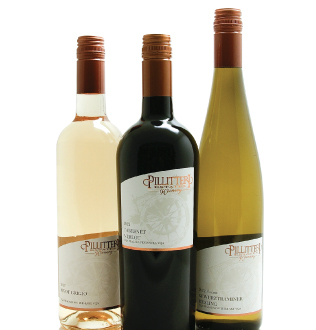 International Wine Brands - Pillitteri Estates Winery Inc. 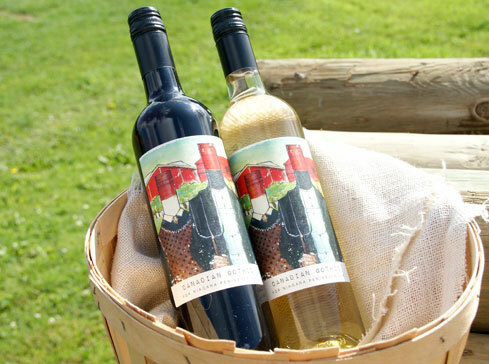 These products are available in domestic markets throughout Canada, including: provincial Liquor stores, grocery stores carrying wines, Ontario Farmers Markets, Online at Pillitteri.com and at the winery retail store. These products are also available in countries around the world including majour markets such as: United States, United Kingdom, European Union, Mexico, China, Japan, South Korea, Thailand and more. Canadian Gothic is a brand of wine developed specifically for the Ontario domestic market. The wine is closely aligned with the philosophy of the Market Collection of wines. Canadian Gothic brings it back to the farm, the market and a simpler time in general. A fun and vibrant colourful interpretation of the famous American gothic painting, it is meant to remind everyone that the Pillitteri’s are farmers at heart. Available as a Red, White, Chardonnay and Cabernet Merlot it is exclusively available at participating farmers markets, the LCBO, the winery retail store and online at Pillitteri.com. The East West Vineyards brand is a collection of wines produced exclusively for the Canadian domestic restaurant market. These wines, like the Market Collection wines are declassified blends and single varietals. They are called East West because they come from grapes grown on vineyards along East West Line. 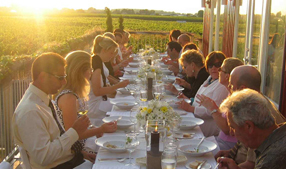 They are VQA wines, grown locally and crafted to provide exceptional value. Canadian Flower is a VQA Icewine brand produced and bottled from premium estate Icewine. The Canadian Flower story is inspired by young artist Jessie Shou who painted the Canadian Flower mural, the painting that makes up the packaging of the Icewines. At just 16 years old she was inspired by the natural beauty of her native British Columbia and the flowers in her local garden to paint the Canadian Flower mural. Canadian Flower is available in Duty Free border stores, Airline Duty Free Sky-malls and in China, however it is also promoted at Pillitteri Estates winery’s Canadian retail store as part of the Direct to China retail sales program. This is an extremely important part of the International sales market for Pillitteri and the Canadian Flower brand is one of the best-selling Canadian Icewine brands in the world. 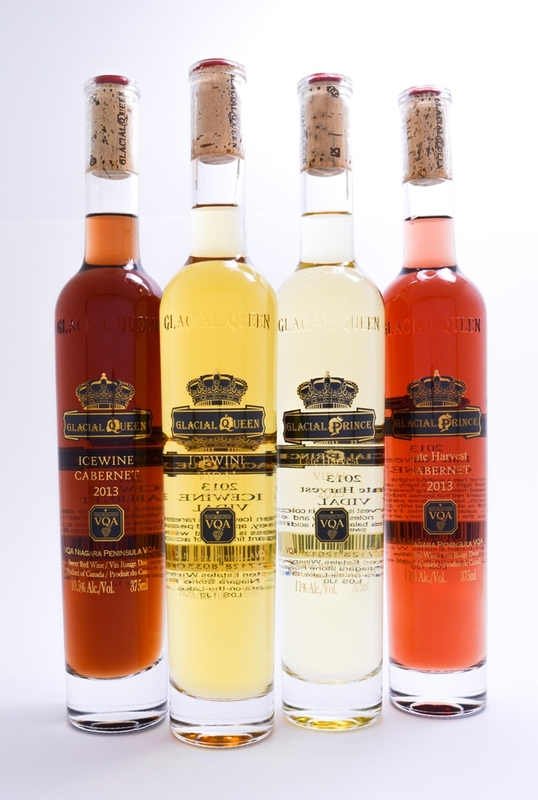 Glacial Queen is a VQA Icewine brand made from grapes grown in the heart of Niagara-on-the-Lake wine country. 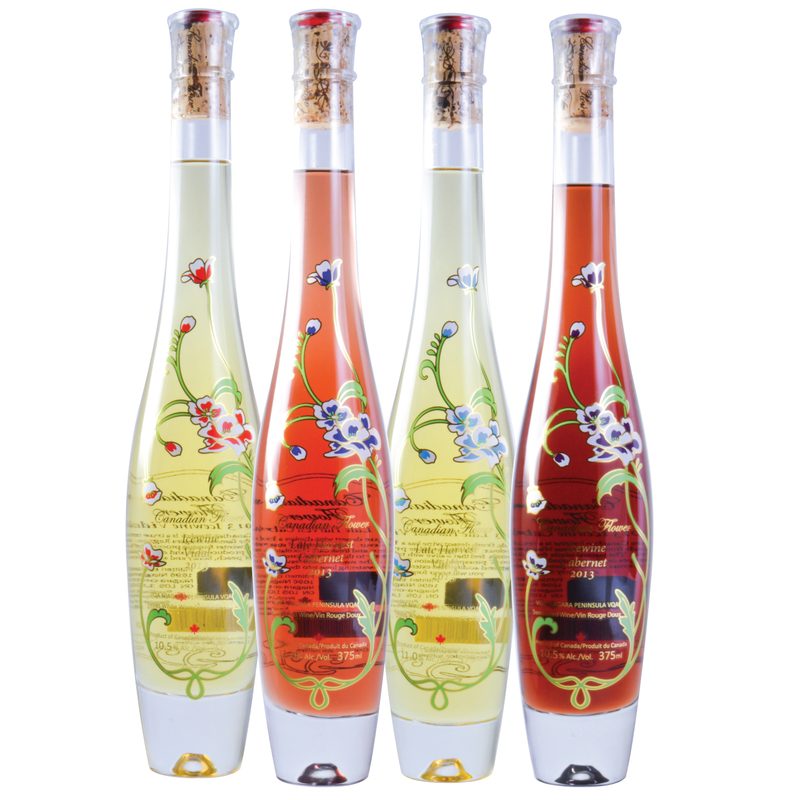 The wine is specially blended into the ultra premium Glacial Queen collection and the premium Glacial Prince collection. these wines are known to have the highest standard for quality that all Pillitteri Icewine is known for and has received many international awards. Look for Glacial Queen Icewine in select Asian markets as the taste profile is designed to appeal to Asian styles of cuisine. 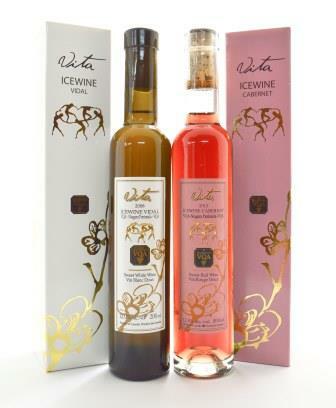 Vita Icewine is an award winning VQA Icewine and table wine brand sold exclusively in Japan and China. Vita means life in Italian. Vita was produced by the Pillitteri children in honour of their mother Lena Pillitteri as a gift to her for bringing them life. Their lives are signified by the cherry blossom on the label and the rebirth of the cherries every year on the family farm. These Icewines are soft and more elegant than other Icewine’s and offers a smooth finish. Saw anything you like? Check out our brand new Online Wine Store! We provide custom gifting options including custom labels, gift baskets and more. We are proud to produce one of nature’s most exquisite gifts — Icewine. Learn more about this Canadian specialty here! Pillitteri takes pride in what we produce, as has been proven repeatedly in our 700+ wine awards.